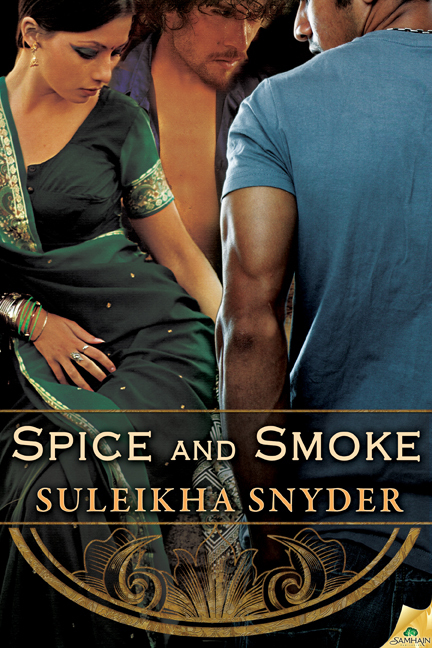 Suleikha Snyder : SPICE AND SMOKE: Excerpt + Giveaway! 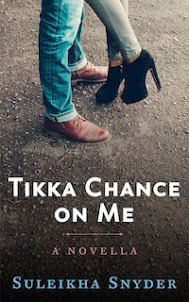 SPICE AND SMOKE: Excerpt + Giveaway! It's only four days until Spice and Smoke's official release from Samhain Publishing, so it seems only fair to offer up a dash of that spice to celebrate! This is a little scene from Chapter Five, in which Avi Kumar and Trishna Chaudhury's formerly smooth sailing marriage hits some rocks — thanks to the waves caused by Avi's attraction to Michael Gill and Trishna's close proximity to her old crush, Harsh Mathur. Leave a comment to be entered to win a copy of Spice and Smoke in the format of your choice! The giveaway closes on Release Day: Tuesday, April 10.
husband’s reflection in the vanity. and his fury seemed twice that of a typical rejection. Not that there were many. “Are you okay?” she wondered as she unpinned her hair. sweet. “One would almost think you’ve been in love with him your whole life.